Apologies (mom) for the lack of posts...Internet here in Porto hasn't been that great -- we essentially have to go into the hall outside of our apartment and pray that we hook into it. I wanted, however,to provide a quick update. 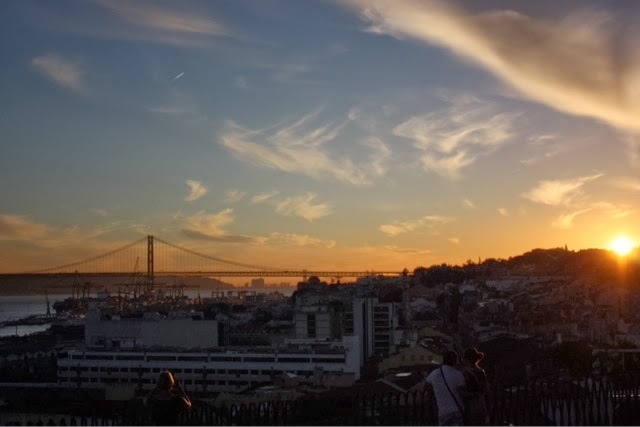 We left Lisbon on Sunday afternoon (after a beautiful sunset on Saturday night, above) and headed up to Porto. This city is amazing. I will write more about it later, but...not sure it could be more picturesque. We've been so very lucky with the weather, as well -- hot but not too hot, a little humid but overall really pleasant. Sweaters haven't had to come out until about 9 at night (or 21:00, as they call it here (I think)). That pic above is from my window here in Porto -- not sure we could have a more amazing view! We spent some time here in town, which included a river cruise for allows us, some port tasting & exploring for me, and a bike ride for the other ladies. We also visited the towns of Guimarães and Viana do Castelo. 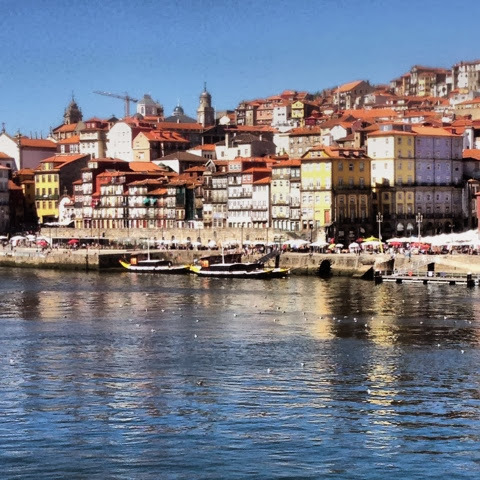 It was great to see others parts of northern portugal, but I do think Porto is my favorite!